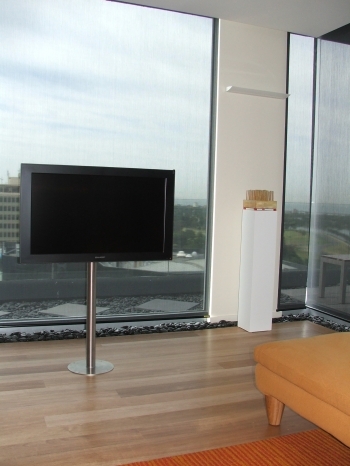 This is a rather nice Sharp LCM3700 pro monitor LCD TV mounted on a rotary pole in one of Melbourne's better apartments. 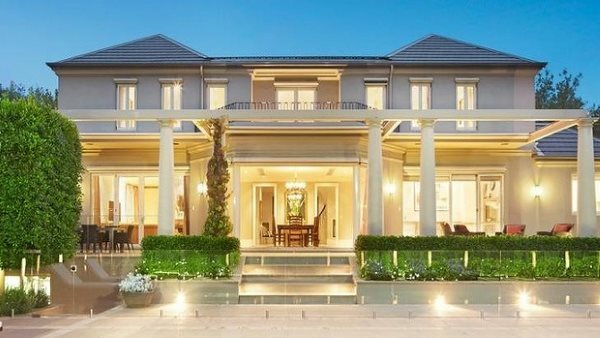 This particular installation is run by a Crestron control system that enables the client to flick imagery and audio seamlessly beetween the various regions of the residence. The system and its human interface was particularly challenging as it combined the needs of the lady partner who simply wanted the TV, sound, and lighting to be instantly accessible anywhere in the residence with those of the gentleman client who is of that minority whose knowledge and expectation of visual and acoustic performance and media availability is of the Ferrari plus level.